Its the start of a new month and coupon sites reset their coupons check these coupon sites and print before they reset Coupons = Free money! Purex Crystals and Ladies’ Home Journal will award 20,000 people a free 1-year Ladies Home Journal Magazine Subscription! Thats a lot of people and so high likelihood of winning one! Head on over here and submit your information to be entered into the drawing for a FREE 1 year subscription to Ladies’ Home Journal magazine! Keep in mind that you can enter once per day throughout the promotion period for a better chance at winning. Winners will be selected at random on or about June 25, 2012. The Prize is nonassignable, non-transferable, and non-refundable and must be accepted as awarded. No substitutions may be made, except by Sponsor who reserves the right, in its sole discretion, to substitute the prize with prize(s) of comparable or greater value. Prize will only be awarded to the verified winner. Go here for official rules. 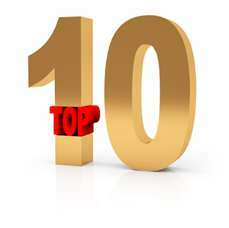 Every month I list my favorite Top 10 freebies. School's letting out this month so this month's freebie theme is "Summer Fun Freebies". 5. 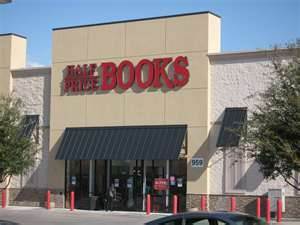 Free $5 GC to Half Price Books Feed Your Brain Summer Reading Program 6. 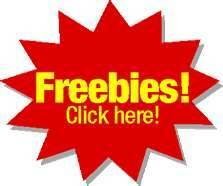 Kidsbowlfree - 2 free bowling a day all summer long 7. AMF - 2 free bowling a day all summer long 8. Free Movies - Chillax with the kids at these free movie events here 9. Grow your own vegetable garden - not only does this teach your kids about where vegetables come from but the responsibilities involved in growing your own free food. 10. Create a "summer buddy program" - Call around your Mommy network for play dates and friends to share in new activities and stave off boredom. Not Free But Cheap Summer MoviesRegal's Summer Movie Express, Cinemark's Summer Movie Clubhouse, Classic Cinemas, Georgia Theater Company and Harkins Theatres will be having $1 summer movies for kids to enjoy this summer. A Modern Day Princess Fairytale Comes to Life on Blu-ray! BUY IT NOWGrab a copy of the movie at Amazon for only $21.83 & eligible for FREE Super Saver Shipping on orders over $25. 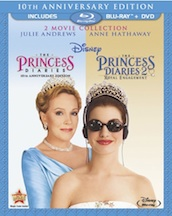 (1) lucky reader will win a copy of the Princess Diaries 2-Movie Collection on Blu-ray Combo Pack. Simply enter to win through the rafflecopter form below. Contest open to US residents and ends June 15th 11.59pm EST - good luck. Get a FREE Single Serving of Orange Chicken at Panda Express on June 1, after 9:00pm at. No purchase necessary. Enter 25 points to your Disney Movie Rewards account by adding the code U13PEKSZZD! …And don’t forget that if you have yet to register for a Disney Movie Rewards account, now is a great time to do so since you can score a FREE Mickey Mouse Pin! You need to be a Petco Pals member, if your not already a member, you can sign up for FREE! Did you read my kids bowl for free everyday yesterday? here's another free bowling offer! With this much bowling go out and purchase your own shoes so you can save on rental fees! AMF Bowling is offering FREE Bowling for Kids again this summer. register and you will receive a voucher each week for 2 FREE Games per day through September 3rd. If you are headed out and about in the heat, make sure to print out this Jamba Juice coupon above. I just made smoothies at home this weekend and I forgot how scrumptious they are. 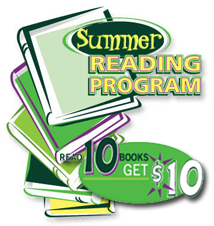 Kids can get a $5 gift card to Half Price Books for reading 15 minutes a day and recording it on the reading log. With a Side of Thriftiness! =only $2.98 for 2 – $1.49 each! =only $7.47 for 2 Coppertone Sticks AND a package of Little Swimmers! =only $4.88 – just $2.44 each! If you are new to Pampers Reward program, collect codes found inside Pampers diapers and wipes products. No kids or kids in diapers - no problem, periodically Pamper release new free codes. Patiently collect them and redeem them for cool prizes and even gift cards. 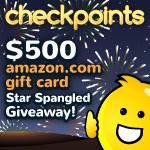 Sign up here to grab 100 free points. Do you recyclebank? I just clicked around for 300 points! If you love couponing and recycling then Recyclebank is definetely for you! You can earn recyclebank points through many ways such as the obvious recycle at home to online recycle pledge activities. 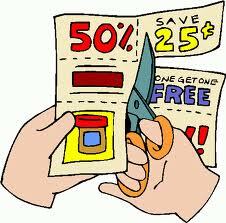 You can cash these points in for high-value coupons, free magazine subscriptions, restaurant coupons, and much more! I've been a recyclebank member for several years now and have forgotten to login lately. I had a few minutes spare today while the kids were playing/napping and just earnt 300 points (yippee) Sign in/up for Recyclebank I'm saving my points for a free gift card! HURRY on over and grab a FREE Crystal Light Mocktails Sample! Available to the first 15,000!! Kids Bowl Free is starting up again. 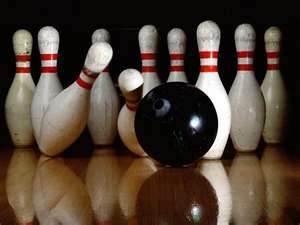 Bowling alleys across the country are offering two free games of bowling every day all summer long. To participate, you just have to register your children. 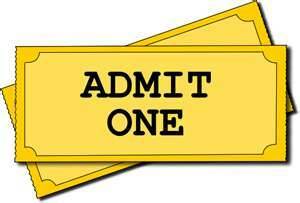 You’ll be sent tickets at the beginning of each week that your children can use. You do still have to pay for shoe rental — or bring your own bowling shoes to save on rental fees.